Stash your cash, keys and phone! 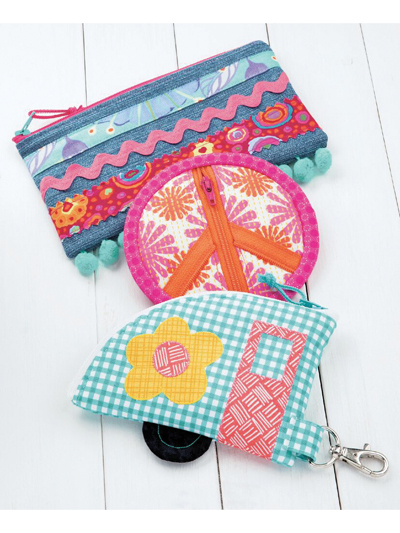 These little bags are simple to make, fun to use and perfect for all ages! 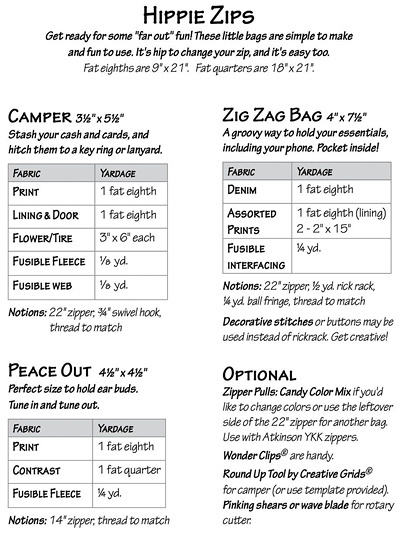 Finished sizes: camper 3 1/2" x 5 1/2"; zigzag bag 4" x 7 1/2"; peace out 4 1/2" x 4 1/2".